This season, the company offers only two varieties, the Brazilian type, called Brown Turkey, and the Cyprus variety, called Autumn Honey. 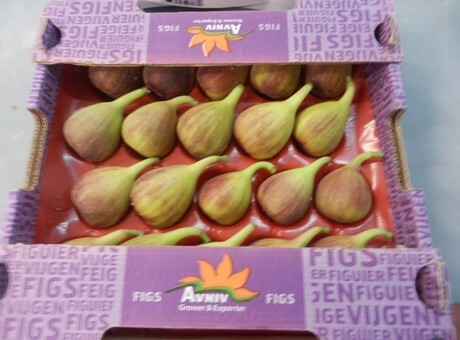 “Both are dark, very tasty, with a better shelf life than during the summer,” says Niva. With the exception of energy consumption, where there is still much to be done, the Dutch are global leaders in greenhouse horticulture. The quality is high, and nowhere else is the use of water and pesticides so low. Even so, demand for innovation, sustainable production and healthy fruit and vegetables and high-quality flowers remains high. One innovation that would really help in this is the introduction of LED lighting in the greenhouse horticulture sector, said Prof. Leo Marcelis, Professor in Horticulture and Product Physiology at Wageningen University. The horticulture sector is important to the Dutch economy, as the export value of horticultural products currently totals about 16 billion Euros. The Dutch greenhouse horticultural sector in particular is a global leader; it is highly innovative and constantly searching for new, applicable knowledge.. Although production has remained more or less constant in the Netherlands, globally the demand for highly-controlled production will result in an increase in greenhouse cultivation, said Prof. Marcelis in his inaugural speech entitled Horticultural Science in the Spotlight. Exploring and exploiting the physiology of plants. Prof. Marcelis believes that the sector needs to become more sustainable and aim to contribute to feeding the world population with high-quality, healthy products. Scientifically, the sector needs to focus primarily on the high-precision control of the growing process. This will require system innovations — to further reduce the use of resources such as water and minerals, to increase production per unit area, and to obtain the high-quality, healthy products that consumers want. The scientific focus of Marcelis and his group is on how physiological processes in crops, plants and plant organs respond to environmental conditions during plant cultivation and post-harvest, and how these affect crop production and product quality. Marcelis believes it is important that the horticultural sector focuses not just on growing plants, but also on the handling of products following their harvest. Currently, about one third of all products are lost in this phase, a figure which he believes can be reduced by 50%. With the exception of energy consumption, the Dutch greenhouse horticulture sector is highly efficient, said Leo Marcelis. Production levels are extremely high, most pests and diseases are controlled biologically and water and nutrients are largely recycled. For example, it takes 15 litres of water to produce a kilo of tomatoes in a Dutch greenhouse, compared with 60 litres in the open air in the Mediterranean region. Unfortunately, energy consumption in the Dutch horticulture sector is still very high, and is in fact responsible for 10% of the national gas consumption. Energy costs account for 15-30% of the total costs for a horticultural farm, which is why the sector is trying so hard to achieve energy savings. As Marcelis explained, it is not heat production that is the problem, ‘the problem is the energy needed for lighting, and light is the driving force behind plant growth.’ He and his group are strong advocates of LED lighting in greenhouse horticulture, and he estimates that the smart use of LEDs can achieve energy savings of up to 50%. LEDs also have other benefits compared with the lights currently used (high pressure sodium lights), such as the ability to change the colour of the light, the position of the light source in relation to the plant and the intensity of the light. This would enable lighting to be used much more efficiently, resulting in better plant growth and a higher quality product. More than 90 percent of U.S. children aged 6-18 years eat more sodium than recommended, putting them at risk for developing high blood pressure and heart disease later in life, according to a new CDC Vital Signs report released on Tuesday. This report provides the most recent data detailing how much sodium school-age children eat and where it comes from. U.S. children aged 6 to 18 years eat an average of about 3,300 mg of sodium a day before salt is added at the table. The 2010 Dietary Guidelines for Americans recommend that children eat less than 2,300 mg per day total. Most sodium is already in food before it is purchased or ordered. Approximately 65 percent comes from store foods, 13 percent from fast food and pizza restaurant foods, and 9 percent from school cafeteria foods. To help reduce the amount of sodium children are consuming daily, parents and caregivers, as well as schools, communities, and places that sell, make or serve food, are all encouraged to take steps to ensure more low-sodium options. For example, parents can establish healthy eating habits in their children by providing a diet high in fruits and vegetables without added sodium. Schools and school districts can implement food purchasing policies and standards that reduce sodium in foods and put lower-sodium alternatives in vending machines, school stores and cafeterias. They can also strive to meet or exceed the U.S. Department of Agriculture’s (USDA) Nutrition Standards for foods served during the school day. The Center for Science in the Public Interest responded to the CDC report by stating these data should “ring alarm bells” and demanding action from the Food and Drug Administration (FDA) to establish limits for sodium in processed and restaurant food. “The [Institute of Medicine's 2010] recommendation advised FDA to set mandatory sodium limits for processed and restaurant foods, gradually reducing those levels in a manner not to be disruptive to industry and to acclimate consumers to less-salty foods. The longer FDA stalls in its public health responsibility, the more our children will suffer the health consequences as they grow older,” said CSPI Health Promotion Policy Director Jim O’Hara. Tags: among, consumption, Finds, Food Safety, High, Kids, Report, Sodium, U.S.
Vouchers to buy fresh fruits and vegetables at farmers markets increase the amount of produce in the diets of some families on food assistance, according to research led by NYU’s Steinhardt School of Culture, Education, and Human Development. The study, which appears online in Food Policy, suggests that farmers market vouchers can be useful tools in improving access to healthy food. This finding validates a new program created by the Agricultural Act of 2014, or farm bill, that incentivizes low-income families to buy produce at farmers markets. “In terms of healthy food options, farmers market incentives may be able to bring a low-income person onto the same playing field as those with greater means,” said Carolyn Dimitri, an associate professor of food studies at NYU Steinhardt and the study’s lead author. Economically disadvantaged families tend to consume diets low in fruits and vegetables, partially due to poor access to healthy food and their inability to pay for it. Farmers markets may help fill in gaps in communities commonly referred to as “food deserts,” which lack access to fresh, healthy food. One in four farmers markets in the U.S. accepts Supplemental Nutrition Assistance Program (SNAP) benefits, formerly known as food stamps. In recent years, several local governments and nonprofit organizations have augmented federal food assistance by offering vouchers to use at farmers markets. The vouchers increase the value of food assistance when used to buy fruits and vegetables at markets. While most food assistance programs fail to address nutritional quality — for instance, SNAP benefits can be used to buy ice cream and soda — farmers market incentives can only be used on fresh produce, increasing their potential to improve consumers’ diets. To assess the effect of farmers market incentives on those receiving food assistance, Dimitri and her colleagues enrolled 281 economically disadvantaged women in their study, recruiting participants at five farmers markets in New York, San Diego and Boston. The women were all caring for young children and received federal food assistance through SNAP or Women, Infants, and Children (WIC). The researchers collected demographic information and surveyed the participants throughout the 12-16 week study to learn about their food shopping habits and fresh vegetable consumption. Each time participants shopped at the farmers market, they received up to $ 10 in vouchers to be used toward purchasing fruits and vegetables. The women matched the amount of the farmers market vouchers with cash or federal food benefits. Despite incentives, retaining participants was a challenge, suggesting that factors other than incentives influence farmers market shopping habits. A total of 138 participants completed the study, which is consistent with retention rates for similar studies. Women who were older, visited food banks and lived in “food deserts” were the most likely to drop out of the study. For those who completed the study, more than half reported consuming vegetables more frequently at the end of the study. Participants with low levels of education and those who consumed little fresh produce at the beginning of the study were the most likely to increase the amount of produce in their diets. Additional research is needed to understand why produce consumption did not increase among nearly half of the participants, despite their increased purchasing power, and determine what measures can be taken to engage the vulnerable group that dropped out of the study. While farmers markets are good sources of healthy food, the researchers noted that relying on them exclusively for food security is problematic, as markets are usually open on limited days and closed in the winter. The British potato industry is changing tack to regain its presence in the minds of consumers. Tags: consumption, Food Safety, peels, Potato, U.K. Many consumers are aware of the safety concerns surrounding energy drinks combined with alcohol, but energy drinks in their own right are an increasing cause for concern. Dr. Stacy Fisher, a cardiologist who specializes in congenital heart disease and director of Complex Heart Disease on the faculty of the University Of Maryland School of Medicine, says she sees an increasing number of patients with problems such as palpitations, shortness of breath and nausea related to energy drinks. The problem is that they don’t make the connection; sometimes their doctors don’t either. When they do ask, they find that patients are affected by products such as Monster Energy or Red Bull but never knew there was a risk in drinking them. Energy drinks have no official federal definition, but they are generally thought of as beverages with caffeine and other stimulants marketed for their energizing effect. Caffeine levels vary between these drinks. An 8-oz. can of Red Bull might have 80 mg, while a 32-oz. Monster contains 320 mg. The Monster would probably be considered four servings, but the can is non-resealable, and many people tend to drink the whole thing like they would a soda. In the U.S., 80 percent of adults consume caffeine every day, and the average adult has a daily intake of 200 mg. Every person reacts differently to the drug, but the level where someone starts to have caffeine toxicity symptoms is usually about 400 mg.
A 12-oz. (tall) coffee from Starbucks will run you about 260 mg, while a 14-oz. Dunkin’ Donuts coffee contains 178 mg. But even just 50 mg of caffeine has the potential to induce tachycardia and agitation. At higher levels, “caffeine toxicity can mimic amphetamine poisoning and lead to seizures, psychosis, cardiac arrhythmias and, potentially but rarely, death,” reads one 2012 study in the Medical Journal of Australia. Energy drink makers are required to tell the U.S. Food and Drug Administration (FDA) about any adverse events related to their products. Data recently obtained by the Center for Science in the Public Interest (CSPI) regarding these reports show that there have been 34 deaths linked to energy drinks since 2004, with half occurring since 2012. Of these, 22 deaths were linked to 5-Hour Energy, 11 to Monster and one to Rockstar. Since the reports don’t prove causality, FDA is investigating these incidents to determine whether the deaths were caused in some way by consumption of energy drinks. Between Jan. 1, 2004, and March 10, 2014, FDA was also informed about 241 non-fatal events where consumers experienced high blood pressure, convulsions, heart attacks and other problems. Of these cases, 115 resulted in hospitalization, 15 in disability and one in miscarriage. A recent report published by the Substance Abuse and Mental health Administration (SAMHSA) found that the number of emergency department visits involving energy drinks doubled from 10,068 visits in 2007 to 20,783 visits in 2011. All of this is set against the backdrop of increased energy drink sales. In 2011, sales increased by 12.5 percent overall and by 15-30 percent for Red Bull and Rockstar. Federal law allows for caffeine in soda up to 71 mg per 12 ounces, but energy drinks aren’t categorized as such, even though consumer advocates think they should be because of how they’re marketed and where they’re placed in stores. In addition to no limits on the amount of caffeine in energy drinks, companies are not required to disclose the caffeine content on labels. American Beverage Association member companies and some independent ones do disclose it voluntarily, but many do not. And it’s not just the caffeine that has Fisher and other consumer advocates worried. They are also wary of other additives that are “generally recognized as safe” (GRAS). Guarana, which naturally contains caffeine, is commonly added to energy drinks on top of the synthetic caffeine but in unknown quantities. When caffeine levels are included on a drink label, Fisher says this additional stimulant is not usually included in the number. And some products have mixtures of taurine, an amino acid which makes the heart pump harder and stronger. And, like any other sugar-sweetened beverage, there is also the concern that the amounts of added sugar in energy drinks can contribute to the development of obesity and diabetes. In addition to adults with underlying structural heart disease — like those whom Fisher treats — children are most at risk for adverse effects from energy drink consumption. In 2011, 14-year-old Anais Fournier from Maryland died from cardiac arrhythmia due to caffeine toxicity after consuming two 24-oz. Monster drinks in a 24-hour period. Other cases linked to the energy drinks include the death of a 19-year-old in California, brain damage in a 16-year-old in Oklahoma, and the deaths of three teenage boys in Canada. And, apart from direct injury, teens who consume energy drinks have been shown to seek out risky behavior and have higher rates of alcohol, cigarette, or drug use. Teens and young adults make up the largest percentage of those who buy energy drinks, accounting for nearly $ 2.3 billion in sales. It’s estimated that about 30 percent of adolescents report consuming energy drinks. According to a study from the U.S. Centers for Disease Control and Prevention (CDC), 8 percent of young people drink energy drinks weekly, 20 percent think that energy drinks are safe drinks for teens, and 13 percent think that energy drinks are a type of sports drink. Fisher says that, in her own experience, she has seen half the kids on her 14-year-old son’s football team drink a large energy drink before practices. According to CSPI, industry representatives at a Maryland legislative hearing earlier this year stated that energy drink companies define “minors” as younger than 12 years old for marketing purposes. These drinks are frequently marketed on youth-targeted cable networks such as Adult Swim, MTV and Comedy Central. Energy drink brands also have a very strong presence on social media and will sponsor events such as extreme sports competitions and music festivals. The Rudd Center for Food Policy & Obesity at Yale University has found that teens saw an average of 124 TV ads for energy drinks in 2010 — more than other beverage categories, including sodas, sport drinks and fruit drinks. “Despite the risks … these companies are really disproportionately targeting teens,” says Roberta Friedman, the Rudd Center’s director of public policy. Along with release of the adverse event data, CSPI sent a letter to FDA Commissioner Margaret Hamburg on June 25 asking that the agency require energy drink containers to carry a warning label about the risks of heart attacks, convulsions and other adverse reactions. The group also wants the caffeine in energy drinks limited to the same levels as “cola-type beverages” and for the common ingredients in energy drinks to be tested for safety in combination, as well as separately. Additional regulations suggested by Fisher, the Rudd Center and others include limits on the size of energy drink containers, requiring containers to be re-sealable, and excise taxes. When it comes to marketing, it’s also been suggested that energy drink brands self-regulate like alcohol suppliers who agree not to advertise in media outlets with an audience comprising more than 30 percent minors. A 2011 Rudd Center survey found that 74 percent of parents believe that energy drinks should not be sold to teenagers. Suffolk County, NY, and Mexico have already set the precedent of restricting the sale of these beverages to minors. FDA does not regulate energy drinks as their own category, “but the products are indeed regulated, and should there be any sort of problem with a product that presents an ‘out-and-out’ demonstrated risk to consumers, we can take steps to get that particular product off the market,” an agency spokesperson tells Food Safety News. In addition, FDA says it has no current plans for warning labels. The agency has expressed concerns about caffeine added to foods and has asked the Institute of Medicine (IOM) to convene a workshop on the potential health hazards of caffeine consumption. FDA is now waiting for a report from IOM to “determine next steps” in caffeine regulation. A U.S. marketing group is encouraging Mexican consumers to snack on apples with lime, chili and salt flavorings during the World Cup. Tags: apple, Bids, cherry, consumption, Inspire, Mexico, Packing, U.S.
Could mango consumption be key to treating various human diseases? New research on animals is very promising. The latest figures from the Freshfel Consumption Monitor show that in 2012 the consumption of fruit and vegetables in the EU28 fell 8.2% compared to 2011 and is 8.7% less than the 5 year average. Freshfel Consumption Monitor analyses the production, trade and consumption trends in the EU28. The analysis of the latest available data (up to 2012) shows that the consumption of fresh fruit and vegetables in the EU28 stands at 386.96 g/capita/day in 2012. This means that consumption in the EU28 remains under the level recommended by the World Health Organisation (WHO) of 400 g of fresh produce per day. Out of the 28 member states of the European Union, 18 are below the level recommended by the WHO. Per capita fruit consumption in the EU28 in 2012 stands at 167.62 g/capita/day. This is 11.8% less than in 2011 and 14.2% less than the average of the years 2007-2011. Per capita vegetable consumption in 2012 stands at 219.33 g/capita/day, meaning a decrease of 5.3% compared with 2011 and of 4.0% compared with the average of the previous five years. While EU production and imports of fruit and vegetables have decreased compared with 2011, exports continued to grow by 17% for fruit and by 8% for vegetables. When compared with the period from 2007-2011, fruit exports grew by 39% and vegetable exports by 20%. Non-EU countries more and more compensate for the drop in EU consumption. 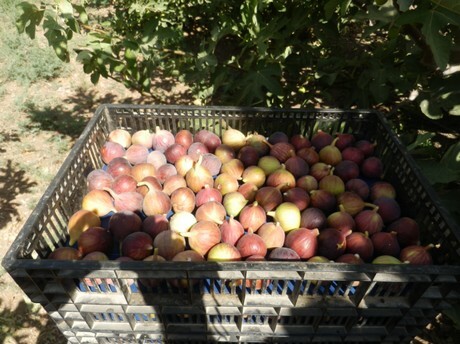 Production in 2012: Fruit production in the EU28 decreased by 12% compared with 2011 and reached a total level of 32.5 million T. Fruit production was also 10% below the average of the previous five years (2007-2011). Vegetable production in the EU28 decreased by 6% compared with 2011 and reached a total level of 50.3 million T. This was 3% below the average of the previous five years (2007-2011). Trade in 2012: Fruit and vegetable imports from third countries into the EU28 continued to decline in 2012. In 2012, the import of fruit decreased by 3% compared with 2011 and reached a total of 10.7 million T. Compared with the period of the previous five years (2007-2011), fruit imports decreased by 9%. Vegetable imports into the EU28 decreased by 10% in 2012 compared with 2011, and reached a total of 1.6 million T. This was 13% less than the average of the previous five years. Fruit and vegetable exports to third countries continued to increase in 2012. Compared with 2011, fruit exports increased by 17% and reached a total of 4.0 million T. Vegetable exports increased by 8% and reached a total of 1.8 million T. Compared with the previous five years (2007-2011), fruit exports in 2012 increased by 39% and vegetable exports increased by 20%. Consumption in 2012: Net per capita fruit consumption stands at 167.62 g/capita/day. This is 11.8% less than in 2011 and 14.2% less than the average of the years 2007-2012. Per capita vegetable consumption stands at 219.33 g/capita/day. This is 5.3% less than in 2011 and 4.0% less than the average of the previous five years. 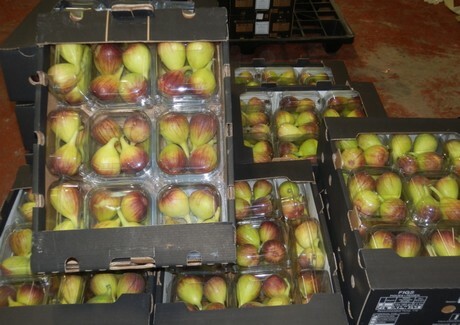 Copies of the Freshfel Consumption Monitor are available from the Freshfel Secretariat. Lisa Cork questions how produce marketers are selling their product in light of a recent U.K. health study. Foxy Produce looks to boost produce sales with the launch of its free educational campaign called “REJUICENATE with Foxy.” The program, which introduces 20 easy-to-make liquid-based meals and snacks, is designed to teach the public fun and cost-effective ways to enjoy produce while simultaneously encouraging the consumption of whole vegetables and fruit. Foxy will bring its “REJUICENATE with Foxy” initiative directly to the masses through the distribution of 1 million free recipe booklets placed in packages of Foxy Romaine Hearts, and the hosting of major in-store events nationwide. At least 60 grocery stores have already signed on to hold juicing demonstrations and free tastings beginning April 2014 and continuing through October 2014. The inaugural function will kick off on April 11 from 10:30 a.m. to 5:30 p.m. at Lucky/Save Mart in Daly City, CA. Based upon the principles of “Juice, Reuse and Rejuvenate,” the comprehensive menu celebrates produce in its many Foxy forms — whether whole, juiced or repurposed. The program includes 10 original vegetable and fruit juicing concoctions, the introduction of three “liquid salads” — dressing included — two smoothies, four super juiced leftover pulp-infused snacks, and one dessert. The DIY recipes evolve — from simple to complex juicing combinations to wildly creative pulp-infused food ideas — transforming the produce food chain into a produce food wheel. Keeping with Foxy’s commitment to consumption of whole produce and minimizing waste, it has also invented a number of healthy snack ideas using juicing byproducts. Leftover pulp from “Green with Envy Superjuice” can be combined with hummus for a delightful new fresh vegetable spread. Likewise, “Turn the Beet Around Superjuice” (Foxy beets, Foxy strawberries) can be added to fresh pancake batter for naturally sweet and colorful hotcakes, making fruits and vegetables more appealing to children and the produce-averse. Alongside its in-store activations, Foxy will launch a companion social media program to generate and invite new dialogue about the importance of healthy eating. Planned activities will include weekly chats on Twitter about healthy eating habits, photo-sharing contests across Facebook, and encouraging the creation of consumer-generated video content featuring the public’s own DIY REJUICEINATING-style recipes. The above story is based on materials provided by Chalmers University of Technology. Note: Materials may be edited for content and length. Texans have received a warning from the state department of health about six species of fish caught in portions of the Neches River Basin due fish testing for heightened levels of mercury and dioxins. The area of concern is a portion of the Neches River Basin that includes Sam Rayburn Reservoir and B.A. Steinhagen Reservoir. It stretches from the State Highway 7 bridge west of Lufkin downstream to the U.S. Highway 96 bridge near Evadale, according to the Texas Department of State Health Services. Women of childbearing age and children under 12 are advised not to eat any amount of fish caught from the area. Adult men and women past childbearing age should not eat any smallmouth buffalo, and should only eat a maximum of one 8 oz. meal per month of the flathead catfish and gar, while only a maximum of two 8 oz. meals per month of the blue catfish, largemouth bass or spotted bass. Children under 12 and women who are nursing, pregnant or who may become pregnant should avoid eating these fish because the nervous systems of unborn and young children are particularly susceptible to toxins, the health department said. Escobedo said the quality of avocados currently available is very good, with a high percentage of dry matter. In early January, the terminal market price has been in the low $ 30s range per carton for most sizes of imported avocados. In Food News Today, Supermarket Guru Phil Lempert’s discusses Mexico’s soda consumption; should you be wary of health apps; and a feast for your eyes: the Food Film Festival. Laura Phelps, president of the American Mushroom Institute in Washington, DC, said that for the third consecutive year, mushroom sales have exceeded $ 1 billion in value, with sales totaling 896 million pounds, according to the annual U.S. Department of Agriculture National Agricultural Statistics Service mushroom survey. Pennsylvania accounted for 62 percent of the total volume of sales and second-ranked California contributed 13 percent. “Yet the coming months will be challenging as the industry braces for a reduction in supply,” said Phelps. “Two mushroom farms have suspended production, which leaves a 25 to 30-million-pound hole right before the holiday season. Brown mushrooms, including Portobello and Crimini varieties, accounted for 152 million pounds, up 4 percent from last season. Brown mushrooms accounted for 17 percent of the total Agaricus — the influence on yield of mushrooms — volume sold and 21 percent of the total Agaricus value. The NASS report also showed that the value of sales for commercially grown specialty mushrooms — Shiitake, Oyster and Enoki — last year totaled $ 64.7 million, up seven percent from the previous year. Growers sold 22.6 million pounds of certified organic mushrooms last year, up 8 percent. Agaricus mushrooms accounted for 64 percent of the mushrooms sold as certified organic, while all specialty mushrooms made up the remainder. The total certified organic sales of all mushrooms represent 3 percent of total mushroom sales. The number of certified organic mushroom growers totaled 56, up two growers from the previous season.